Lisa Joy Samson - Made to Create! You Were Made to Create! 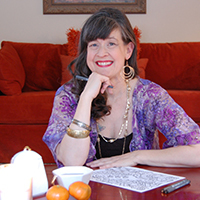 Lisa Joy Samson loves to comfort and encourage healing and joy through the wonderful gift of creativity. A mother of three grown children, Lisa Joy lives in Colorado, enjoying the mountains, sunshine, fresh air and the glorious creation surrounding her. She's dedicated her life to helping as many people as possible find happiness and peace through expanding their own lives in creative pursuits and learning to love more and more each day. You can find her live video show In Loving Color at her Facebook profile: writerlisasamson, on Mondays at 11:00 a.m. Mountain, Wednesdays 6:45 p.m. Mountain, and Saturdays at 10:00 a.m. Mountain. 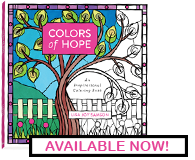 In Loving Color provides live coloring, tips on how to make your pictures sing, and loving encouragement for living a happy, creative life. Join her and others for this interactive time.